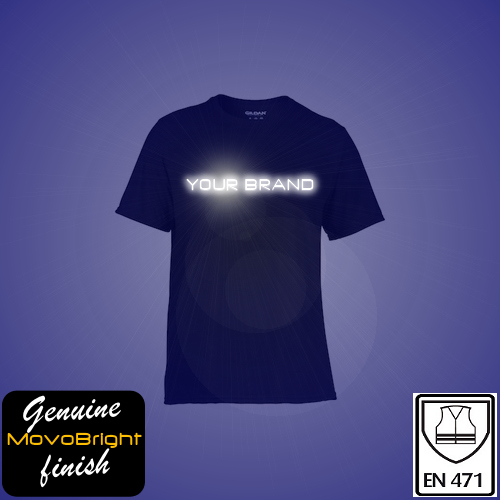 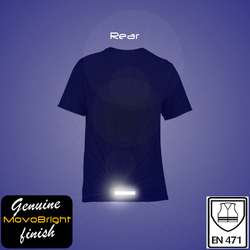 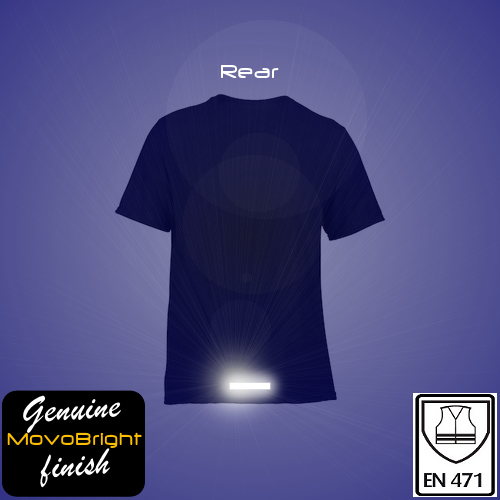 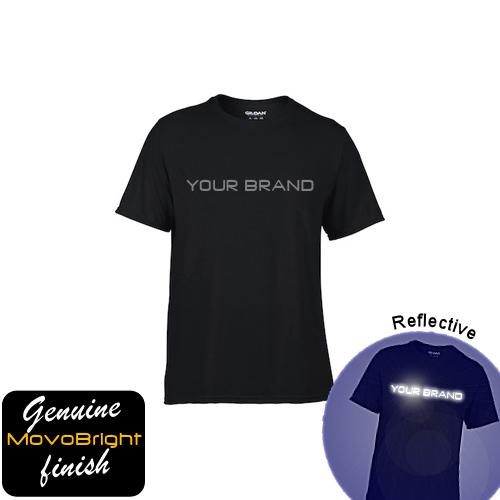 Get your own design or club logo on our superb High Performance High Visibility Sports T Shirt for cycling, running, training, exercising, particularly outdoors in low-light hours such as dawn or dusk or dark night time conditions. The large reflective safety logo is made from professional Reflective Material and is visible to motorists and other road users from up to 300m away. 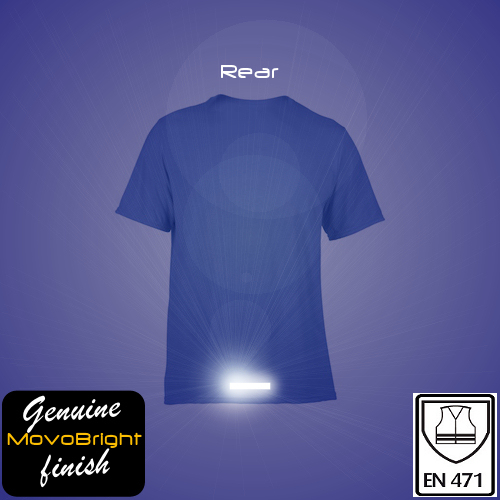 If you or your loved one trains outside at night or in the low-light hours then this garment is a must for you/them. The t-shirt is high quality; it washes beautifully time and time again and maintains its original shape. Ideal for individuals, clubs, associations and businesses / companies. 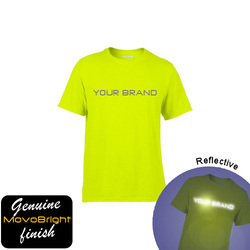 Have you seen The MovoBright yet?